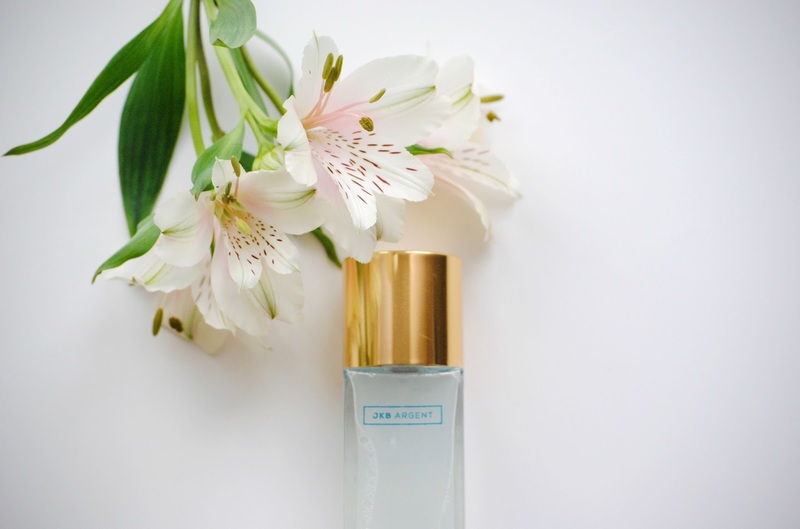 Millionaire Hair Mist | JKBargent* | H A Y L V O G E L.
Yeah, that's right - you've seen it here first, it's all about Millionaire Hair Mist by JKBargent right now! I was lucky enough to be one of the first to try this out, before it hit the beauty world by storm. You may have seen it in your news feed recently, as it's about to make a huge appearance in September's issue of Bazaar magazine! Pretty big deal eh?! I was SO excited for my mist to arrive and couldn't wait to try it out straight away. As soon as I saw the glistening gold lid I knew we we're going to be the best of friends - after all, anything gold AND is said to make my hair shiny and blonde I'm going to be all for. Let me tell you a little bit more about it.. It's a lightweight, multipurpose styling, hydrating and protectant hair mist. Impressive right? Softening your hair acting as a foundation to protect the hair shaft against impurities, keeps the frizz at bay, increases elasticity and improves the condition of your hair. Each spray is made fresh to order, so you can guarantee you're going to get your very own little bottle of goodness knowing it's never mass produced so you can be assured it's all natural and doesn't contain damaging chemicals. What more could you want in a hair mist?! How to use: Spray on damp or dry hair and the Millionaire Hair Mist will penetrate the hair cuticle, over the next few hours your hair will moisturise and soften, rebuilding and strengthening from the inside out. Its key ingredient, extract of aloe has a similar chemical structure as keratin (the primary protein in hair) helping to rejuvenate each hair strand, building strength and shine! I'd never used a hair mist before, having thick hair all my life I find it difficult to use product as it just makes it horrible and frizzy but I was so surprised by the results of the mist! The smell is amazing, so fresh and perfect for your hair. It was so softening to my hair and it instantly made it shiny and bright! I was really impressed by the results and it's something I'd definitely recommend. 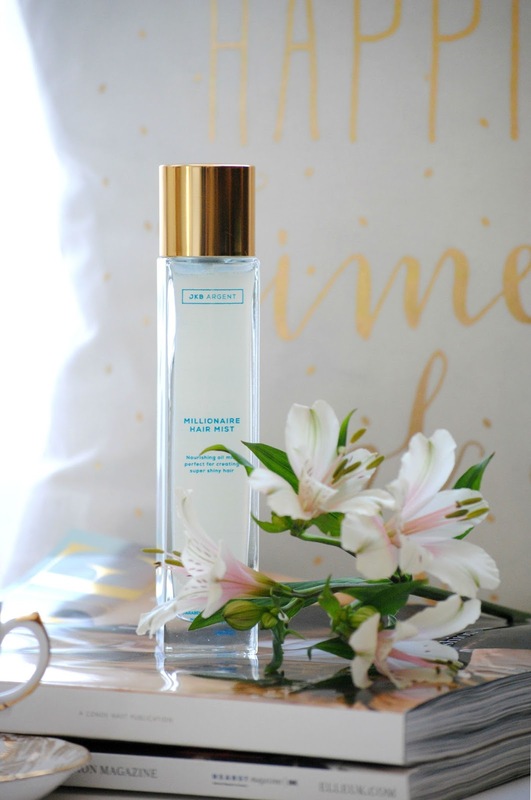 I sprayed it all over my hair after washing it and then dried it off with the hair dryer and I loved the look and feel of my locks afterwards - peeeeerfect! Are you going to be a Millionaire? 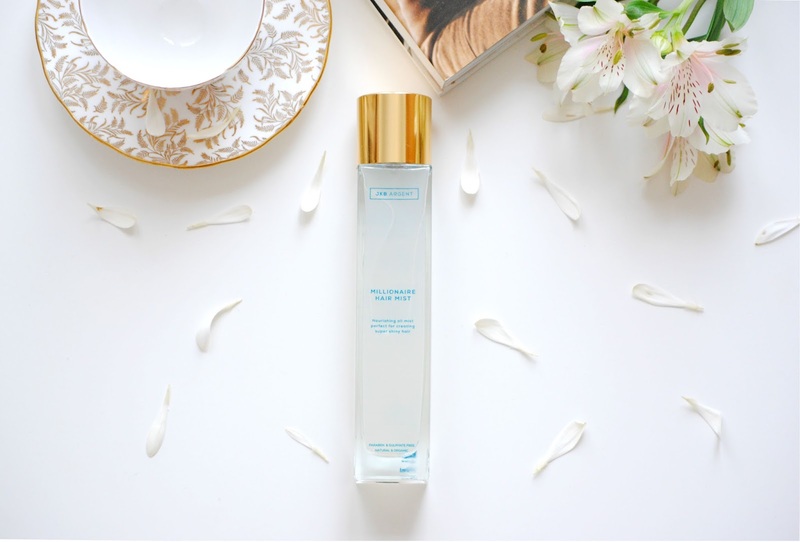 I love a good hair mist and this one sound lovely! Wow, sounds like an amazing product. with my dry ends, I will certainly need to give this a try.